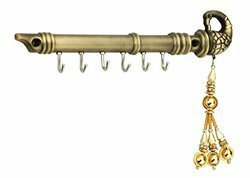 We are offering Flute Key Stand to our clients. Avilable in Antique, SS & every finish. We are offering Key Holder to our clients. Fine Decorative Iron Emboss Elephant Key Hanger Available in Different Designs & Sizes. Rana Overseas is the leading Manufacturer, Supplier and Exporter of Wooden Reindeer Key Ring Stand. We have wide variety in Wooden Reindeer-Key-Ring-Stand. Our Wooden Reindeer-Key-Ring-Stand are well finished, alluring designed. We have Wooden Reindeer-Key-Ring-Stand in Wooden. Dimension: 6 x 1.5 Inches Approx. - Elegant and beautiful key holder.